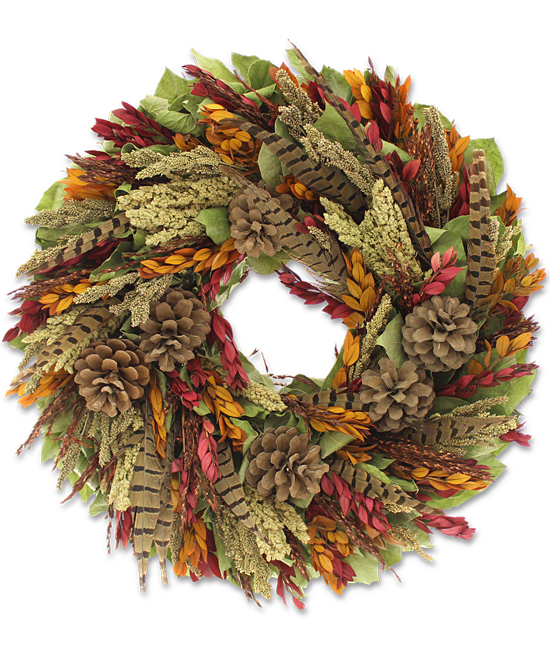 Sweeping with brisk colors as well as an abundance of natural texture, this amazing wreath is brightness, beauty, and brilliance all intertwined. The lush base is thick with natural phalaris and salal, sorghum, and chocolate brown sudan grass, with red and orange myrtle, pinecones, and wispy pheasant feathers adding an artistic autumnal touch. 18 in diameter.